BMW of El Paso Answers: Should you buy or lease your new BMW? 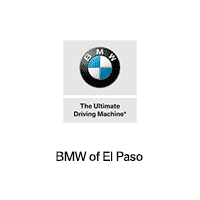 Thank you for choosing your new BMW from BMW of El Paso. We understand how much work you’ve put into choosing your new BMW. But, before you put ink to paper, you may want to consider this question: Do you want to buy your new BMW or lease it? Keep Your Car – Once it’s paid for, your BMW is yours for as long as you wish. Replace Your Car Every Few Years – When the lease is complete, you have to return the car to the dealer. Replacing Your Old Car – When you’re ready for an upgrade, the responsibility of selling or trading in your old car is yours. No Hassle Upgrade – At the end of your lease, you can lease a brand-new car the same day. Fix It Yourself – When you need service or maintenance on your car, you take care of the cost. We Fix It For You – Routine maintenance and most repairs are covered by the lease agreement. If you prefer holding onto your cars for more than 5 years, you’ll want to finance your new BMW. If you enjoy driving a new car every 3 to 5 years, our leasing deals are right up your alley. 2. What types of monthly payments do you have in mind? Financing offers typically have a higher monthly payment depending on variables like down payment amount and credit ratings – however, once the loan is paid, the monthly payments are done. Leasing offers usually have lower down payment and monthly payment requirements than financing. However, if you like renewing your leases, you’ll be looking at perpetual car payments for as long as you choose to lease your vehicles. 3. What is your annual mileage on your vehicle? If you put usually drive less than 15,000 to 20,000 miles a year, you should consider leasing your new BMW. Do you typically put more than 15,000 miles on your car annually? Then we’d recommend a BMW purchase. 4. Do you like customizing your car? If you’re not into personalizing your vehicle with after-market accessories like new rims or a new paint job, you are a prime candidate for our leasing offers. But, if expressing yourself via auto-customization is a must, then we recommend buying your next BMW. 5. What are your automotive maintenance priorities? If you like to get your hands dirty when it comes to servicing or maintaining your vehicle, leasing probably isn’t for you. But, if you prefer having ASE Certified BMW technicians service and maintain your car, you’ll definitely want a lease agreement that covers most of your automotive service needs. As you can see, there are many factors to consider when deciding on leasing or buying your new BMW from BMW of El Paso. So, bring all of your questions to our experienced sales and leasing agents and let them put their expertise to work for you. Shop us online or stop by our showroom at 6318 Montana Ave and experience customer service done right. Whichever route you choose, we are here to make it easy for you to get into your Ultimate Driving Machine from BMW of El Paso. Took my 535i back and dealt with Ms.Heidi. She was very helpful, and very patient with me. Strongly recommend going through her as she will have your vehicle dealt with properly as if it was her very own. Thank you Heidi . I always love getting my vehicle serviced at BMW. Everyone treats us well, like queens. I walk in and they not only make me feel comfortable but my daughter as well. Service is fast and they let you know before hand what needs to be done. They never push anything on you. Ismael (finance manager) and Heidi (service) are amazing. Very professional posting made an Active Duty Soldier like myself want to go back. The salesman, the manager, the finance person all were helpful and made the purchase seamless and easy. My brake warning light and oil light went off. I dropped off the car on Friday and was told I would get a rental car for the weekend. Well, on Saturday afternoon I got a call that my car was done. The car was washed and cleaned and all of the repairs were done.